Russia as we know it today didn't really form until Peter the Great came on the scene. 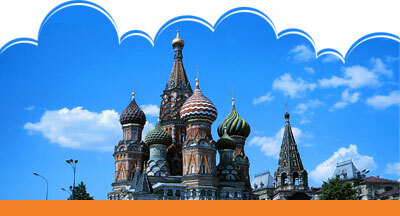 A very tall man, Peter the Great could be considered the first great real estate investor of Russia. During his reign, Peter conquered all of the lands between Moscow and the Pacific Ocean. Russia is simply a huge country. From east to west, the country is so big you can travel for seven days on a train and still not make it all the way across. During the 20th century, Russia converted from a rather corrupt monarchy to communism. Alas, communism didn't turn out to be much better with leaders such as Joseph Stalin indiscriminately slaughtering much of the population through ill advised planning. Eventually, the Russians changed their mind and converted to a rough form of Democracy in 1991. Thereafter, the various satellite companies controlled by the former Soviet Union began breaking off and claiming independence. Democracy has been an up and down prospect for Russia. While Ferraris drive the streets of Moscow, the rest of the country can go months without heating. This contrast brings up a unique aspect of the cultural heritage of Russia. In Russia, it is all about Moscow. Moscow gets everything first, while the rest of the country is really left to fend for itself. If you travel through Russia, you'll be stunned at the differences including infrastructure and standard of living. Russia has gone through fits and starts in the change to Democracy. The Russian Mafia is legendary and has its hands in everything. At one point in the late 90s, only 7 percent of people paid taxes. Fortunately, things have begun to turn around under the reign of President Vladimir Putin. The mafia has lost some of its power or at least become less obvious. The foreign debt while represented 90 percent of the gross domestic product is now down into the teens. Real income for ordinary Russians is growing at about 12 percent on average. All and all, the country finally seems to be getting its ducks in a row. Having lived in Russia for a year, I can tell you the country is a magnificent place. Russians are fairly formal in business and initial interactions. Once you've broken through the formality, they are perhaps the warmest, friendliest people I've had the pleasure of every meeting. If you get a chance to go to Russia, I highly recommend you do so! Rick Chapo is with http://www.nomadjournals.com - makers of diary and writing journals. Visit http://www.nomadjournaltrips.com to read more about travel and the great outdoors.